Comunicazioni Sociali is an international double-blinded peer reviewed journal. Established at the Università Cattolica del Sacro Cuore in 1966 as Annali della Scuola superiore di giornalismo e mezzi audiovisivi, it became Annali della Scuola Superiore delle Comunicazioni Sociali in 1967. As Comunicazioni Sociali it has been regularly published since 1979. The journal hosts monographic and miscellaneous issues on a variety of topics in the performing arts, film, radio, television, journalism, advertising, and digital media. The journal welcomes interdisciplinary perspectives and promotes rigorous debates on theory, history, critical analysis of media production and consumption, also from ethical and anthropological points of view. 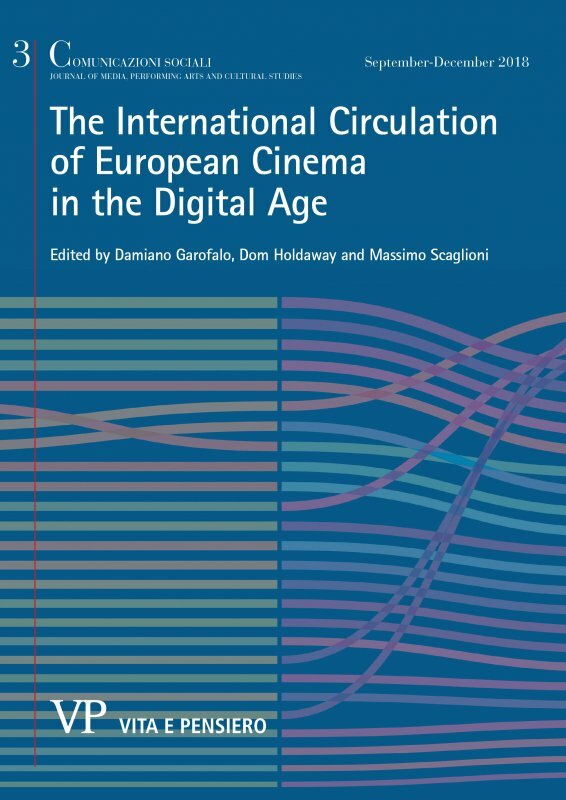 CS is A-class rated journal by ANVUR (Italian National Agency for the Evaluation of the University and Research Systems) in the three academic disciplines: Cinema, photography and television (L-ART/06), Performing arts (L-ART/05), and Sociology of culture and communication (SPS/08). The journal obtained an international recognition by the French AERES - Agence de l’évaluation de la recherche et de l’enseignement supérieur, being listed between its information and communication sciences journals. CS is included in the IATJ database – International Archive of Theatre Journals, also accessible on the IFTR - International Federation for Theatre Research's website. In 2016 CS was accepted into Elsevier's international indexing database Scopus. Since 2013, the traditional monographic section of each issue of Comunicazioni Sociali has been supplemented by a miscellaneous section. The call for papers for the miscellaneous section is always open. Contributions will undergo the same double-blind peer-reviewing process of the monographic section. Since its inception, CS has been contributing on key debates of studies on theatre, cinema, radio, television, journalism, advertising and digital media. The journal has promoted a rigorous reflection on theory, history and critical analysis of media, communications and performance arts. It continues to be a fundamental voice within the debate on the more recent and controversial questions of communication (from ethics to anthropological design) drawing on theoretical reflection and historical analysis, as well as from the proceedings of empirical research. This issue focuses on the artistic, social and political resources invested by the performative arts into socio-cultural inclusion, aimed at facilitating collective processes of dealing actively with the complexities generated by the recent migration trends.